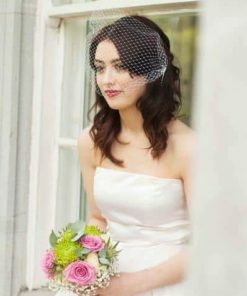 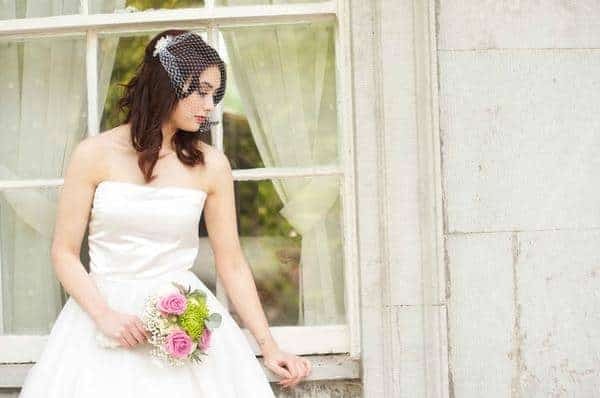 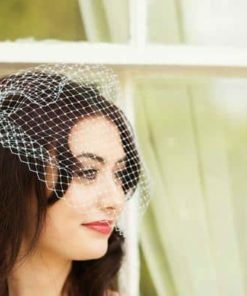 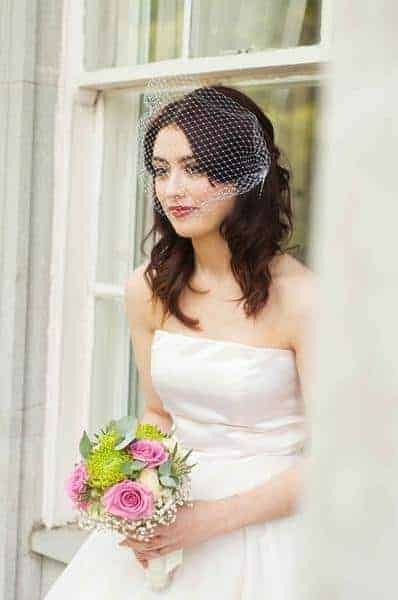 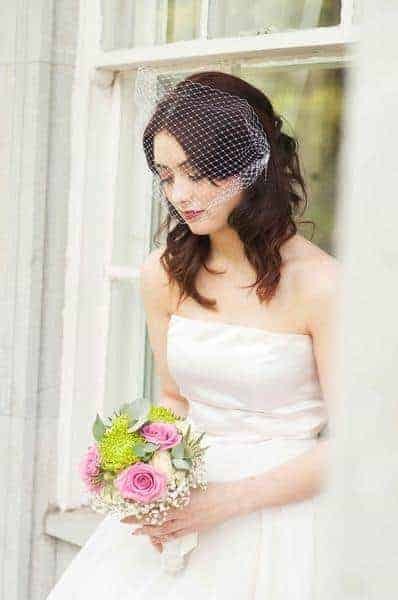 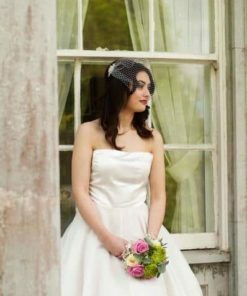 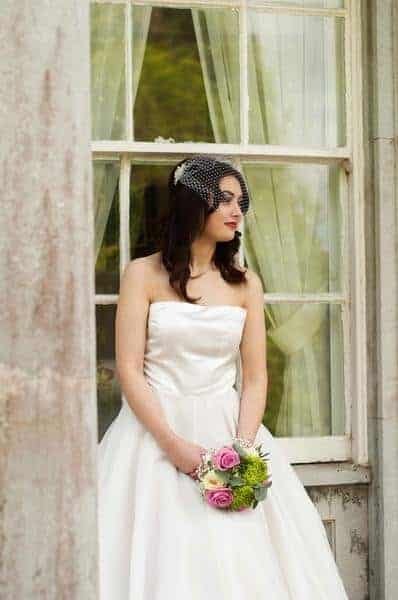 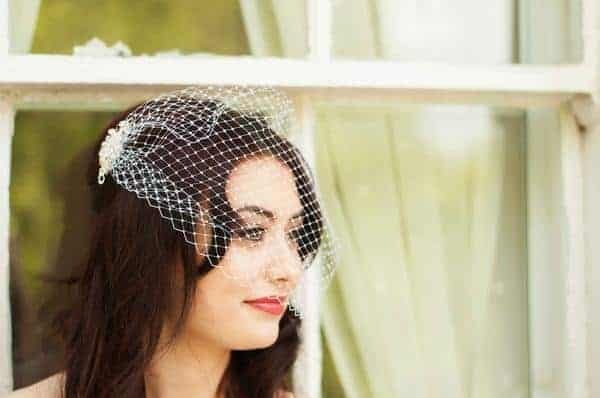 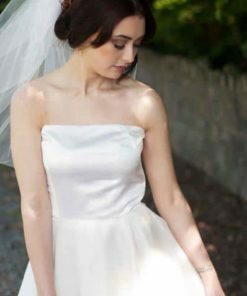 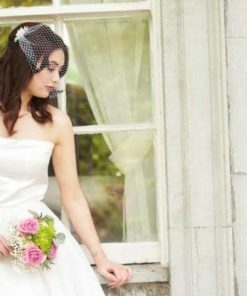 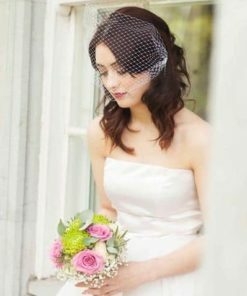 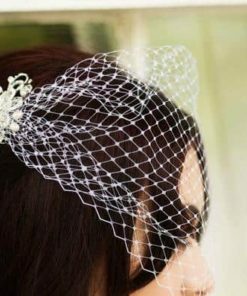 An inspired vintage chic visor veil that uses French netting and can be pinned behind each ear. 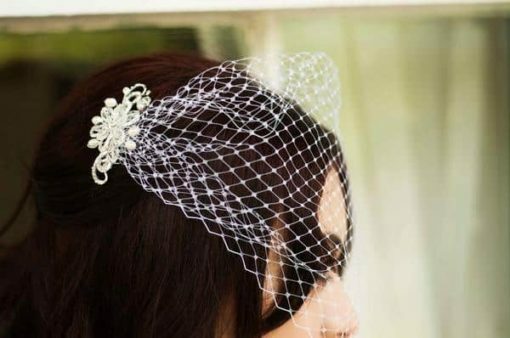 Accompanied by a stunning rhinestone, pearl, crystal accent to add a finishing touch. 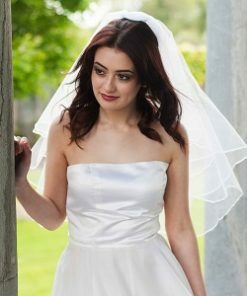 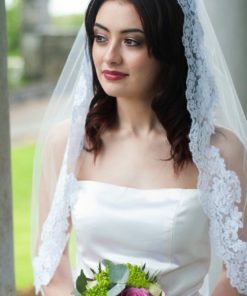 A versatile veil that can be positioned to cover the face, or just the forehead and hair if preferred.